Microsoft isn't backing down in the face of a threatened class action lawsuit over its recent ban of thousands of Xbox Live users, warning gamers that if you toucha their terms of service, they breaka you face. Microsoft brought the hammer down on owners of modded 360s earlier in November, prompting a U.S. law firm to begin seeking support for a class action suit against the company. The lawyers claimed that while modding the console is "arguably" against Microsoft's terms of service for Xbox Live, the timing of the ban - the day after the release of Modern Warfare 2 and less than two months after Halo 3: ODST - was fishy. 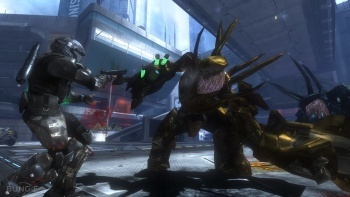 "This 'convenient' timing may have resulted in more Xbox Live subscription revenues for Microsoft than it would have generated had these Xbox console bans taken place at some time before the release of Halo 3: ODST and Call of Duty: Modern Warfare 2," the firm, Abington IP, said on its Xbox Live Class Action Investigation page. The exact number of users who were affected by the ban hasn't been revealed, but Microsoft said last week that media reports that a million users had been banned from the service were inaccurate.